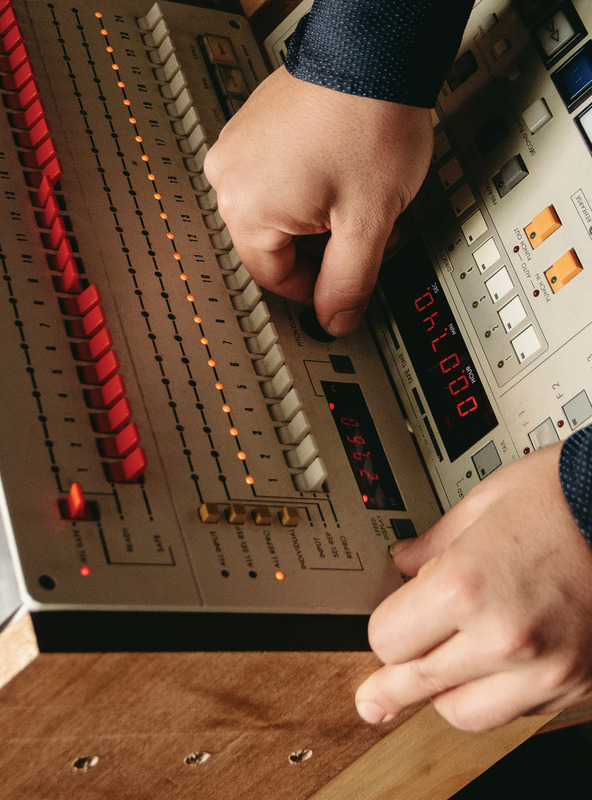 Windows 10 | Tape Op Magazine | Longform candid interviews with music producers and audio engineers covering mixing, mastering, recording and music production. The nascence of my music-technology career goes back to high school, when I wrote a 1-bit sampling drum-machine program for my Apple ][+, utilizing the computer's cassette-tape storage port as the A/D converter. In college, I moved up to a Mac Plus. When I got kicked out of college and ended up at Digidesign (now Avid), my primary machines were a "portable" Mac SE and a then- secret Mac II that was encased in plywood. When I returned to college and continued on to grad school, I had several versions of Mac II computers, supplemented with various UNIX workstations. I stayed a loyal Mac user for many years thereafter, always having at least one current-model Mac at home, even when I switched to a Windows laptop for work. During that time, I even built a couple "FrankenMacs" with parts that I repurposed from other Macs or purchased online. But eventually, I switched almost entirely to Windows. Today, my three main computers — my near-silent rackmount studio PC from Endpcnoise.com, my ultraportable Toshiba touchscreen laptop, and my Microsoft Surface 3 hybrid tablet — are all running Windows 10. I find that Windows 10, supplemented with Cygwin (a Unix-like environment for Windows), is the best OS choice for my needs. Windows 10 has a better balance of mouse/touchscreen UX paradigms than previous versions of Windows, the vast majority of programs compiled for previous versions still run in Windows 10, and Windows 10 works on a broad range of devices, even older hardware like my year-2008 studio PC. Importantly, Windows 10 has been super stable on all three of my primary devices. Decades ago, the Blue Screen of Death made regular appearances in Windows, but since installing Windows 10 a year ago, I've only seen one BSOD. — I recently visited the office of Cakewalk, developer of Sonar [Tape Op #107], and I sat down with CTO Noel Borthwick to talk about Windows 10. The original Cakewalk sequencer first shipped for Windows in 1991, and the company has remained in an active relationship with the Windows development team ever since. Noel explained to me that the most significant change in Windows 10, in regards to real-time audio needs, is in the Windows Audio Session API (WASAPI) layer, which manages audio streams and handles audio engines and endpoint devices. Interestingly, even though most professional DAW applications rely instead on the ASIO protocol, for Microsoft to make gains in WASAPI performance, optimizations had to be implemented in the Multimedia Class Scheduler Service (MMCSS) and in various Windows kernel components. The fallout of these gains is that Windows 10 has better low-latency performance, with lower CPU loads and fewer interrupts, which ultimately means improved performance for ASIO and other real-time processes too. To put it more directly, in Windows 10, you'll likely be able to load up your DAW sessions with more tracks and/or use smaller (lower-latency) I/O buffers than in Windows 7 or 8. Admittedly, I experienced one gotcha here. Changes in MMCSS caused audio dropouts in Cubase 8 and in the initial release of 8.5, but an easy workaround was to manually elevate the Cubase process to maximum priority. That workaround is no longer required with the most recent releases of Cubase 8.5. On a related note, many of the workarounds and optimizations that were recommended by DAW publishers for previous versions of Windows are no longer useful in Windows 10 (and some are actually detrimental). For help on this topic, read Cakewalk's Windows Optimization Guide goo.gl/sUkGV2 for a concise set of tweaks. I would also suggest turning off or removing any default Windows features and apps that you don't plan to use (e.g., Cortana, Money, Sports, Xbox, etc. ), as instructed by TenForums.com goo.gl/Ttaoux. All in all, I'm very happy with Windows 10, and I'm looking forward to the Anniversary Update in August.